"If I were not a physicist, I would probably be a musician. 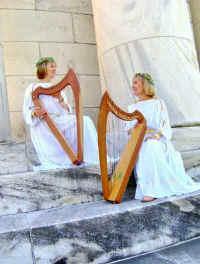 Greek costumes can be worn for labyrinth walks or other venues where a Greek theme is desired. Location: Harding Memorial, Marion, OH. Our Biblical costume can be worn for worship settings. Photograph by Herman Graebner. The Sound of Love! 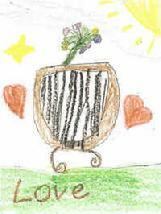 A thank you note from Olivia, a first grade student at Hillcrest Elementary, Revere School District, Bath. 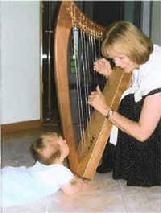 Ohio, when we gave a program to students on Harp Therapy. 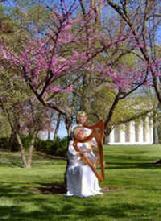 She says, "Thanks for coming to play the harp. It wozz Buateful. It wozz rumbring. I wozz pesful. It wozz thot ful. I Lovevd IT. Love, Olivia"
with the harp in the hospital. Playing for a Hospice patient. given at the Medina County Public Library. A Gentle Cradle of Sound. Playing for a patient in the hospital. Photo source, Medina County Gazette. 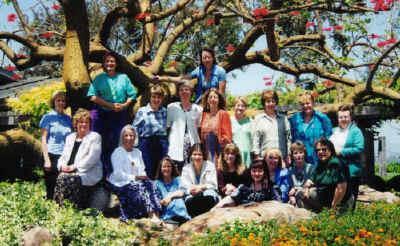 The IHTP World Harp Orchestra 2006, San Diego, CA. We participated in a benefit concert to raise awareness for World Hunger. This was the largest gathering of harpists ever to perform together. Hospice of San Diego. Christina Tourin, Director. 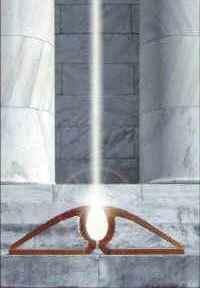 This is the year we graduated from IHTP as Certified Therapeteutic Harp Practitioners. We return every two years for the IHTP Professional Development Conference to remain certified in our field.